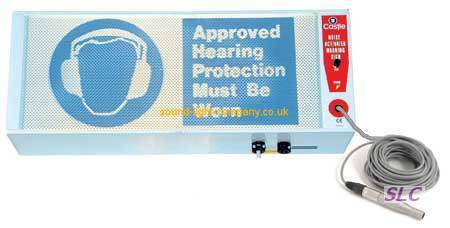 As per Standard GA902 Noise Activated Warning Sign with attached beacon. The GA902BE activates only when the noise exceeds a pre-set level allowing exposed workers to wear eardefenders only when absolutely necessary. The attached mini-beacon increases visibility. 21 Noise Activated Sign meters sound level meters, noise dosimeters and environmental noise monitors. the online shop from noisemeters offers buyers professional advice on product selection.